I am not a creative person. So, when I need to make the most out of the space of my home, I have to admit that I am lost. I am not crafty or cool, I am on a budget and too tired to think outside of the box most days. However, I know a good idea when I see one and its good to be inspired by others who are crafty and think of these things when we cant. 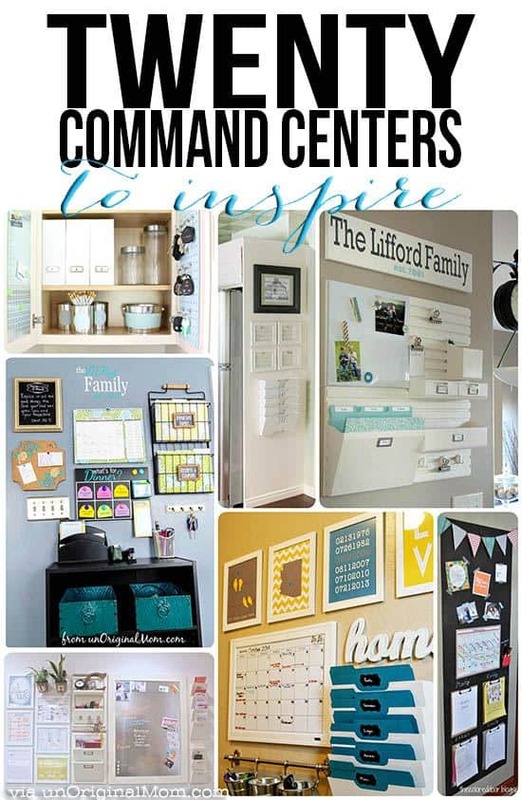 These command center ideas for your home are truly inspiring to create some organization to your home and homeschool. You can take a few ideas from several to just make it work best for you. Click HERE for Unoriginal Mom‘s 20 command center ideas to inspire you for what fits your family and home.